Departing Suffolk & Essex - An interesting day out with a Blue Badge Guide visiting some beautiful countryside rich in history, stories and folklore. An Essex Smuggling tour can show you colourful barges and sailing villages with weather-boarded cottages. All alongside a landscape of intrigue, ghostly tales and romance as we travel along a small part of the coastline whose flat nature made it the perfect venue for the smuggler-of-old! 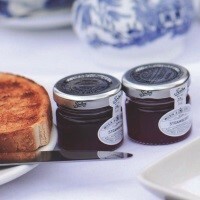 We start our day at Tiptree Jam Museum and Shop. There is a fine Tea Room here serving a range of refreshments often accompanied by Tiptrees famous jam. Alternatively, you may wish to visit their Shop to purchase local produce including Jam and even Maldon Sea Salt, or perhaps take the time to visit the on-site Museum. Our lunchtime stop will be at Maldon Hythe Quay. Maldon is an ancient riverside town, scene of an epic battle and home to Maldon Sea Salt. Your Blue Badge Guide will take you on a short, optional guided walking tour of Maldon Hythe Quay with views over the River Blackwater and a famous 10th Century battle site. Thames Barges are often seen moored up at the Hythe Quay. After lunch our scenic Essex drive takes us across the Causeway to the most easterly inhabited island  Mersea Island and included refreshments.